Freshen up any room with with our smart personalised Fragranced Candle. 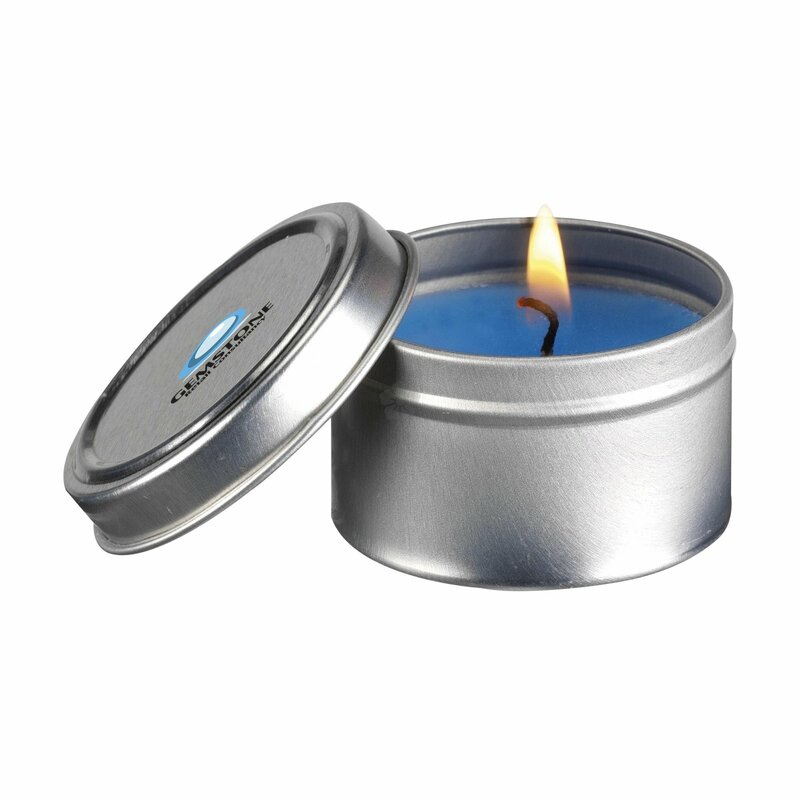 Available in 3 refreshing scents, this candle is sure to refresh any room it is placed in. 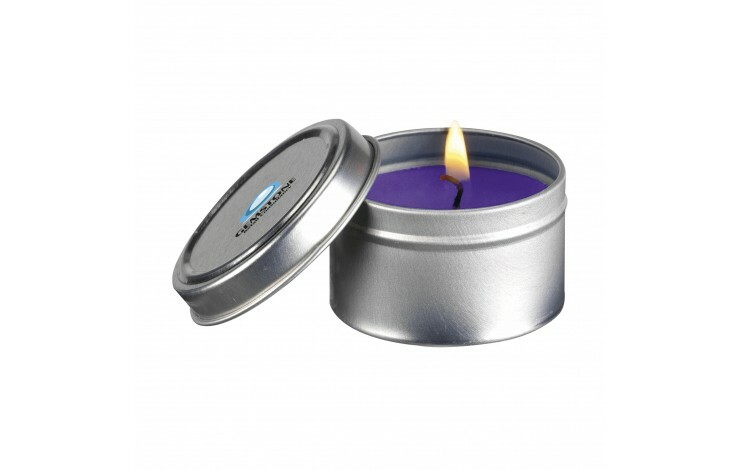 Supplied in a neat silver tin with your design printed to the top of the lid as standard. Available in 3 different scents: ocean, lemon and lavender. Scent is determined by the colour of candle. Can be branded in either spot colours or full colour. 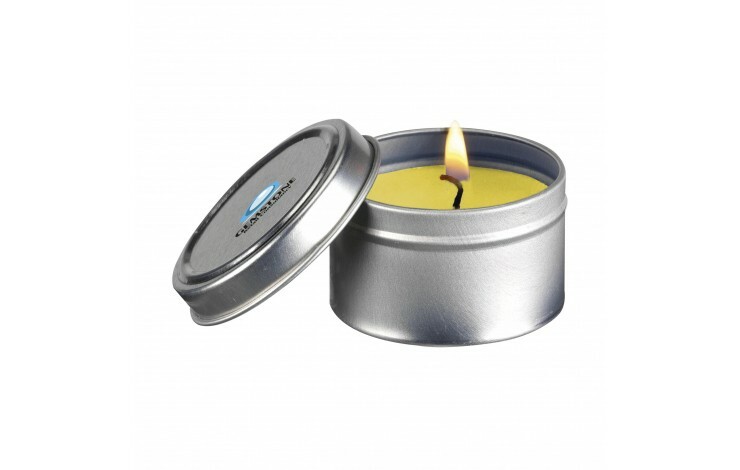 A candle that combines both smart presentation and a refreshing choice of scents and colours. Supplied in a silver tin. Spot or full colour print. Tin: Silver. Wax: Purple, Blue, Yellow.